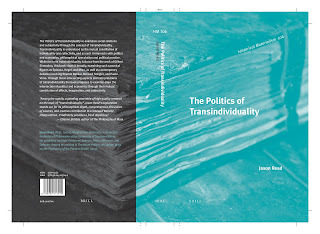 I have not had much time for blogging as of late as I complete the finishing touches, indexing, proofreading, etc., of The Politics of Transindividuality. 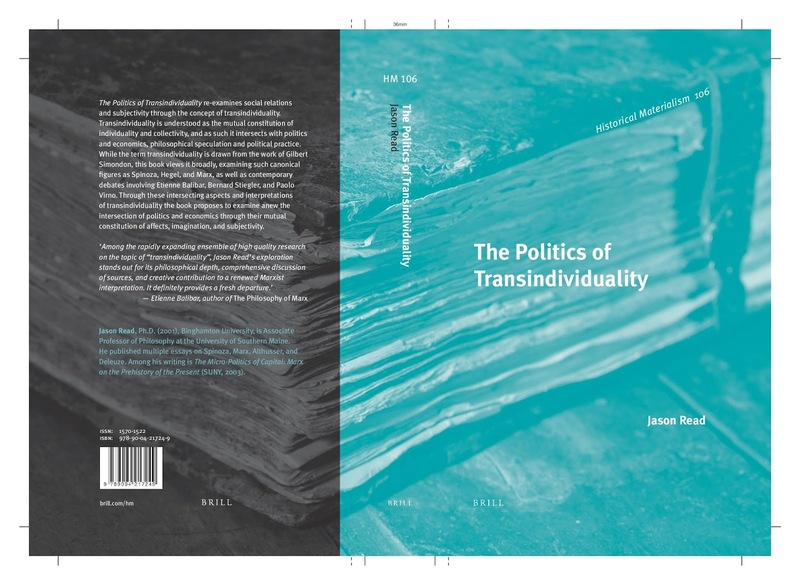 This book has been previewed on this blog, and a look at the table of contents shows how many of the themes and ideas from this blog have made it onto the page. This blog has been the incubator for many of these ideas, ideas which take on a (hopefully) much more systematic and developed status in the book. And, yes, yes, the Brill books are expensive. They are meant for library orders. A softcover from Haymarket will come out next year.